Iraqi forces retook the University of Mosul, where the Islamic State group reportedly produced chemical weapons. The terrorist organization produced sulfur mustard agent at the university, which also served as the group’s Mosul headquarters, a Pentagon official said Feb 7. The intended use of so-called mustard gas by the group was “primarily as [a skin] irritant and something to scare people,” not as a lethal weapon, according to U.S. Navy Capt. Jeff Davis, a Pentagon spokesman. As the international community seeks to stave off an Israeli strike on Iran’s nuclear program, policymakers would do well to draw lessons from the first attack to destroy a nuclear facility, Israel’s bombing of Iraq’s Osirak nuclear reactor on June 7, 1981. At the time, the attack drew near-universal condemnation, but it soon came to be seen as a milestone in nonproliferation, demonstrating that force could be a practical option to halt a suspected nuclear weapons program without harmful repercussions for the attacker. More recently, however, the pendulum has begun to swing back, as postmortems coupled with recent reporting of Iraqi archival material captured by the United States during the occupation of Iraq after the 2003 invasion tell a different story. They reveal the Osirak reactor did not provide the foundation for a nuclear weapon but rather for an illusion that misled Iraq and Israel. The illusion prevailed because of the peculiar personalities of each country’s leader and because of misperceptions about Osirak’s bomb-making capacity. Unwilling to gamble that deterrence could cope with a nuclear Iraq, Israel applied a multipronged strategy to halt the reactor’s construction—diplomacy, a media campaign, sabotage, and assassination. The failure of all these left two approaches—watchful waiting, preferred by some who did not see Osirak as an imminent threat, and military action, promoted by Prime Minister Menachem Begin. In the end, the force of Begin’s personality drove the cabinet’s decision to bomb Osirak. However, rather than putting a stake into the ambitions of Iraqi leader Saddam Hussein, Israel’s strike stimulated Iraq to pursue a secret uranium-enrichment program dedicated to producing a nuclear weapon. But for Hussein’s megalomania, Iraq might have had a nuclear weapon by the mid-1990s. Not satisfied with the eight-year war with Iran, which ended in 1988, Hussein invaded Kuwait in 1990 and thus saved Israel from the challenge of destroying his weapons program. Iraq’s defeat at the hands of the U.S.-led coalition destroyed much of Hussein’s military establishment, but the bombing campaign, which was undertaken with incomplete knowledge of his hidden enrichment program, missed significant portions, leaving it to international inspectors to destroy the remainder and prevent rebuilding. The Osirak saga and legacy have much to teach present-day decision-makers about the need for solid intelligence and the limitations of diplomacy, public relations, sabotage, and assassination. If Israel and others resort to the use of force against Iran, they will find that unless Tehran agrees to the transparent elimination of its remaining suspect activities and eschews rebuilding, international inspectors must do the job. Failing that, concerned countries must prepare themselves to repeat their military action, perhaps multiple times, once they have chosen this course. In 1976, Iraq signed a contract with France for the Osirak reactor, also known as Tammuz 1, a 70-megawatt “swimming pool” light-water reactor to be fueled with a 12-kilogram loading of uranium enriched to 93 percent uranium-235, and for the 500-kilowatt Tammuz 2 training reactor. A party to the nuclear Nonproliferation Treaty (NPT) when it entered into force in 1970, Baghdad bowed to Paris’ insistence that it accept Osirak in lieu of a heavy-water plant better suited to maximizing plutonium production. By placing the reactors under safeguards, Iraq agreed to regular inspections by the International Atomic Energy Agency (IAEA), management of the reactor by French personnel through 1989, automatic cameras to record activity around the reactor core, and lead seals on fuel rods. France pledged to halt reactor operations by withholding new fuel if evidence pointed to reactor misuse. Yet in private meetings with aides in 1978-1981 and later, Hussein repeatedly declared the need to acquire nuclear weapons to confront Israel. Osirak, however, was unlikely to produce the necessary feedstock. Thus, Hussein’s hopes of getting a nuclear weapon by the mid-1980s were either misinformed or delusional. The reasons were simple. Diversion of spent fuel from the plant would have required a reactor shutdown appropriately timed to maximize plutonium-239 harvesting, then rearrangement of the core to mask fuel rod removal, reduction of reactor performance, and falsification of the operating records, all under the noses of French monitors and international inspectors. An alternative, lifting the reactor’s reflector to insert uranium elements into the core or placing a uranium blanket around it to secretly breed weapons-grade plutonium in between IAEA inspections, was impractical. In a 1983 postattack analysis, the CIA concluded, “We strongly believe that building a blanket…would be difficult for Iraq to do without being detected by the IAEA or the French.” Alternatively, Iraq could have pilfered its IAEA-monitored cache of highly enriched uranium fuel provided by France to make a nuclear weapon. As it turned out, Iraq tried that in the period prior to the start of the 1991 Persian Gulf War, but failed. Hussein’s 1979 and 1980 arrests of two senior scientists, Hussain al Shahristani for his alleged connection with the outlawed Dawa party and then Jafar Dhia Jafar for complaining about the arrest, further complicated matters. Then Iraq’s war with Iran, prompting a September 1980 Iranian air strike on the nuclear complex where Osirak sat, drained Baghdad’s resources, threatening the Baathist regime’s survival. When Israel contemplated striking Iraq in 1980-1981, much of the information above remained opaque, was not understood, or was dismissed. Rather than a program adrift, Israel saw an emerging existential threat. Feeding that view were Iraq’s decades-long calls and actions to eliminate Israel. Just three years before Baghdad and Paris finalized the Osirak deal, Hussein had marshaled hundreds of tanks on Israel’s Syrian doorstep in the Yom Kippur War. After the war, Iraq supported and harbored Palestinian guerrillas. Next to Moammar Gaddafi’s Libya, Begin saw Iraq as “the most irresponsible” adversary Israel confronted. Israel knew the tricks of nuclear dissimulation, having relied on the tactic in building the Dimona weapons reactor. Begin and his colleagues plotted a series of steps to halt Osirak. Their first move was a genuine attempt at diplomacy, but they were prepared to abandon that approach if it proved to be a dead end. That turned out to be the case, as France was not swayed by repeated Israeli arguments to terminate the Osirak export. As diplomacy stalled, Israel turned to sabotage and assassination. On April 6, 1979, in the French Mediterranean town of La Seyne-sur-Mer, explosions rocked the warehouse that housed the reactor core awaiting shipment to Iraq. Threats followed by bombings directed at offices of Italian and French companies providing laboratory equipment for the nuclear program also failed to hold back exports. The assassination of three scientists working on Osirak likewise did not stop the project. By the fall of 1980, Begin had had enough. To avoid the possibility of a radiological release, he decided to attack Osirak before operations commenced. Yet, he still had to convince senior Israeli colleagues. After the hours of debate and squabbling, Begin stood and looked down the table, his dark eyes flickering from the face of one cabinet member to the next. Some of these men he had known for four decades, had fought next to against the British in ’47. He put both hands on the edge of the table and leaned in toward the general and minister…and announced, “There will be no other Holocaust in this century! Never. Never again!” The ministers remained silent. No one dared oppose him—at least to his face. On June 7, 1981, eight F-16As carrying 16 bombs destroyed Osirak. The raid on Osirak did not work out as Begin anticipated. Rather than stopping Iraq’s nuclear program, the raid stimulated it. For Hussein, what at first blush seemed to be a disaster turned out to be a liberation of sorts. Ridding the country of French government oversight, contractors, managers, and monitors while feigning NPT fidelity, he embarked on what became a decade-long secret quest to build a uranium bomb. He settled on electromagnetic isotope separation and centrifuge technologies and, by the time the Gulf War started, was within a few years of fulfilling his ambition. The Osirak story, before and after the attack, has much to teach today’s leaders as they attempt to fashion policies against Iran. At the same time, it is important to acknowledge distinctions. Iran has in place a program that is far more advanced and sophisticated than Iraq’s was, even at its 1991 peak. It is better hardened and has generated significant quantities of uranium enriched up to 20 percent. Unlike Hussein, however, who called for an Arab nuclear weapon, Iranian leaders repeatedly declare their opposition to nuclear weapons. Yet, some of the similarities are uncanny. Like Hussein’s Iraq, Iran frequently calls for Israel’s elimination. Iran funds and arms surrogates. Iran has failed to provide the IAEA with full nuclear transparency. Many Israeli decision-makers believe that Iran, like Iraq, poses an existential nuclear threat, although, as before, there is no unanimity. Osirak suggests the following cautionary points and strategies that bear on Iran. • Do not allow emotion and fear to trump objective intelligence assessment. Iran’s bombast and its documented progress in generating enriched uranium naturally make Israel nervous. However, Israeli Prime Minister Benjamin Netanyahu, whose public remarks currently sound much like Begin’s, should be careful to ensure that his decisions are based on fact rather than emotion. • Intelligence must be vetted over and over again. Israel’s intelligence clearly failed to assess the Osirak risk adequately, and the same was true of U.S. and Israeli intelligence on Iraq’s enrichment program. • Assassination of nuclear scientists will not retard nuclear progress. Israel’s presumed use of assassination in Iraq had no material impact on the Iraqi program. It does not appear to have had a material impact on Iran. • Public diplomacy to halt Osirak had no consequence. Its effect on Iran remains murky. • Sabotage may slow nuclear development, but it must be critically significant as well as successful. Israel’s effort to destroy the Osirak reactor core as it awaited shipment failed. Had it succeeded, it would have delayed commencement of reactor operations by years. By contrast, cyberattacks on computer systems managing Iran’s centrifuges seem to have had only months-long impacts. Clearly, the longer the interruption of normal operations, the better the opportunity for other events to intervene that could reduce the proliferator’s intention or capability to build a nuclear weapon. • Air power can retard nuclear development. Israel’s successful bombing of Osirak did that in part because Osirak was a solitary, soft target, but it also stimulated Iraq to mount an even more intense effort to get nuclear weapons. Likewise, when the United States bombed elements of Iraq’s nuclear program, it again retarded the enterprise, but bad intelligence allowed portions of the infrastructure to survive. Only the insertion of inspectors with authority to dismantle and destroy the enterprise eliminated the risk. Israel’s 2007 bombing of Syria’s North Korean-engineered Al Kibar reactor offers a caveat: military action can halt nuclear ambitions if the target country does not have the scientific capacity to rebuild. Clearly, Iran has that capacity. In sum, Iraq provides many lessons for dealing with Iran today, but some distinctions remain. The international community never subjected Baghdad to the sanctions or IAEA cajoling Iran has faced. That is understandable because the community believed Iraq was complying with its NPT obligations. Although the Osirak episode tested other modes to constrain proliferation, its legacy lies in the use of force. The lesson is that air power alone will not stop a country determined to get nuclear weapons. Repeated attacks may retard progress, but without an epiphany that leads the attacked country to abandon its pursuit of nuclear weapons, it takes personnel on the ground to finish the job. Bennett Ramberg is a foreign policy writer and consultant based in Los Angeles. He served in the Department of State in the administration of George H.W. Bush. 1. Dan Reiter, “Preventive Attacks Against Nuclear Programs and the ‘Success’ at Osiraq,” Nonproliferation Review, Vol. 12, No. 2 (July 2005): 355-371; Målfrid Braut-Hegghammer, “Revisiting Osirak,” International Security, Vol. 36, No. 1 (Summer 2011): 201-132; Hal Brands and David Palkki, “Saddam, Israel and the Bomb,” International Security, Vol. 36, No. 1 (Summer 2011): 133-166. 2. For conflicting official accounts of the damage, see Eliot Cohen, Gulf War Air Power Survey, Vol. 2, 1993, pp. 316-317; Charles Duelfer, “Comprehensive Report of the Special Advisor to the DCI on Iraq’s WMD,” Vol. 2, “Nuclear,” September 30, 2004, p. 4, www.cia.gov/library/reports/general-reports-1/iraq_wmd_2004/index.html. 3. Shlomo Nakdimon, First Strike (New York: Summit Books, 1987), pp. 149, 295. 4. Brands and Palkki, “Saddam, Israel and the Bomb,” p. 134. 5. Directorate of Intelligence, CIA, “The Iraqi Nuclear Program: Progress Despite Setbacks,” June 1983, p. 13, www.gwu.edu/%7Ensarchiv/NSAEBB/NSAEBB82/iraq19.pdf. 6. Duelfer, “Comprehensive Report of the Special Advisor to the DCI on Iraq’s WMD.” See Reiter, “Preventive Attacks Against Nuclear Programs and the ‘Success’ at Osiraq”; Richard Wilson, “Incomplete or Inaccurate Information Can Lead to Tragically Incorrect Decisions to Preempt: The Example of Osirak,” February 9, 2008, www.physics.harvard.edu/~wilson/publications/pp896.html. 7. Braut-Hegghammer, “Revisiting Osirak,” pp. 109-110. 8. Nakdimon, First Strike, p. 132. For the Mossad’s psychological assessment of Hussein, see “Begin on the Eve of the Osirak Raid,” Jerusalem Post, June 1, 2006, www.jpost.com/Israel/Article.aspx?id=23541. 9. Rodger W. Claire, Raid on the Sun (New York: Broadway Books, 2004), p. 100. 10. Dhafir Selbi, Zuhair Al-Chalabi, and Imad Khadduri, Unrevealed Milestones in the Iraqi National Nuclear Program 1981-1991 (self-published, 2011), p. 116. 11. For a review of Israel’s existential concerns, see Jim Zanotti et al., “Israel: Possible Military Strike Against Iran’s Nuclear Facilities,” CRS Report for Congress, R42443 (March 27, 2012), pp. 9-11. It is doubtful that the Gulf states see the 2012 conference as crucial to their security, but with the negotiations forming a key piece of the regional security architecture, they cannot afford to ignore it. Judging by their official statements, the establishment of a zone free of weapons of mass destruction (WMD) in the Middle East ranks high on the list of policy priorities of the six member states of the Gulf Cooperation Council (GCC)—Bahrain, Kuwait, Oman, Qatar, Saudi Arabia, and the United Arab Emirates (UAE). As countries bordering a once-proliferating, aggressive state (Iraq); facing another suspected of seeking a nuclear weapons capability and bent on regional hegemony (Iran); and living in the vicinity of nuclear powers outside the nuclear Nonproliferation Treaty (NPT) regime (India, Israel, and Pakistan), they arguably have a paramount security interest in its rapid formation. As with other stated policy objectives of the Persian Gulf states, however, work toward this goal is hampered by competing priorities and the resulting limits on time and resources that the countries can devote to the issue. Other constraints include enduring political and strategic considerations, such as diverging threat perceptions and the absence of a common security agenda. In recent years, the Gulf states, mostly through nongovernmental experts, have conducted significant work on the scope, reach, and implementation requirements of a regional WMD-free zone and in 2005 even adopted the idea of a subregional WMD-free zone in the Persian Gulf. Yet, attention and political investment ahead of the planned 2012 conference on establishing such a zone in the Middle East seem to be sorely lacking. Beyond the usual inertia, this reflects profound skepticism about the very feasibility of this project and the ability to involve Iran and Israel in a meaningful manner. Consequently, it is doubtful that the Gulf states see the upcoming conference as a crucial moment in their quest for security. The Gulf states face an increasingly complex security environment, compounded by dramatic changes in the regional order in the past decade, including the still-unclear ripple effects of the Arab upheavals of 2011. They must balance their acute, immediate worry about Iran’s nuclear progress and its regional implications with Israel’s nuclear status, a more distant, less threatening but politically more constraining concern. Whether and how the search for a Middle Eastern WMD-free zone affects the Gulf states’ own regional security preferences remains unclear. In addition, they have to adapt to shifting global politics and the erosion of the power of the United States, their traditional security provider. For a long time, the Gulf states were bit players in terms of WMD proliferation. Unlike their immediate neighbors Iran and Iraq, none of the Gulf states attempted to develop or acquire WMD capabilities indigenously. They were also marginal in the regional nonproliferation debate, an agenda driven by larger, strategically more powerful states such as Egypt and Iran, which jointly proposed a UN resolution calling for a Middle Eastern nuclear-weapon-free zone in 1974. UN Security Council Resolution 687, which ended the 1991 Gulf War, called for both a Middle Eastern WMD-free zone and a Middle Eastern nuclear-weapon-free zone as cornerstones of a regional security arrangement. This idea, reiterated in the 1995 NPT Review and Extension Conference’s Resolution on the Middle East, floundered because a readily available external security guarantee seemed more effective and politically affordable for the Gulf states in the wake of the U.S. defeat of Saddam Hussein’s Iraq. Little progress was made in discussions known as the Arms Control and Regional Security (ACRS) process. Held in parallel with the Arab-Israeli peace process, the talks broke down over differences between Egypt and Israel, two countries locked in a complex security relationship. Egypt’s insistence on discussing Israel’s nuclear status clashed with Israel’s unwillingness to do so before comprehensive peace and full normalization. Neither Iran nor Iraq was a participant in those talks; the Gulf states attended only at low levels and as marginal players. Serious interest among the Gulf states in a WMD-free zone is more recent. It is directly linked to revelations since 2002 about Iran’s secret nuclear activity and subsequent progress in its apparent quest for a nuclear weapons capability. The states’ interest also coincided with their increased political, strategic, and economic prominence and the drastic changes in the regional order, most notably Iran’s growing regional reach and appeal. Gulf leaders struggled to articulate in public their private fears about Iran’s nuclear program. They feared that confronting a defiant and ascendant Iran whose popularity in the Arab world was growing would expose a schism between ruling elites and peoples. They also feared that it would provoke a rhetorical escalation in which the Gulf states, generally averse to posturing and public controversy, would stand accused of obedience to the West and appeasement of Israel. Still, the Gulf states felt the need to frame Iran’s suspected nuclear ambitions as a regional challenge as well as a global proliferation concern and to express their anxiety in a subtle, legitimate manner. This combination of factors provided the impetus behind an innovative policy initiative started in 2004 by the Dubai-based Gulf Research Center about a subregional WMD-free zone covering the six Gulf states plus Iran, Iraq, and Yemen. The research center’s framework became the basis for the formal proposal for a Gulf WMD-free zone by the Gulf states. The proposal, although genuine, served primarily as a vehicle to press and test Iran and create political space for the Gulf states by deferring the question of how the Gulf states should respond if Iran were to weaponize its nuclear program. Other ways of legitimizing their concerns included recognizing Iran’s right to civil nuclear energy but stressing its international obligations, raising questions about nuclear safety in that country, and putting forward ideas for nuclear cooperation and multinational uranium-enrichment and spent fuel reprocessing facilities. Iran’s response to the proposal was ambiguous at best and, in the words of a Gulf official, smacked of contempt for its smaller neighbors. Although Tehran formally embraced the proposal’s principles, it linked any approval to prior Israeli nuclear disarmament and the withdrawal of U.S. troops from the Gulf. The former is beyond the GCC’s ability to deliver; the second is unthinkable from the perspective of countries whose external security depends for the foreseeable future on foreign security providers. Iran also dismissed the Gulf states’ environmental concerns, remained purposely noncommittal about verification and monitoring, and accepted the idea for multinational fuel banks only if Iran were allowed to keep its indigenous enrichment capabilities. This episode further hardened views in Gulf capitals about Iran’s intentions and nuclear path. Paradoxically, it also validated the notion that the Gulf states have little to contribute to any diplomatic initiative to alter Iran’s strategic thinking. From the perspective of the Gulf states, the strategic environment has only worsened in recent years. This includes the loss of Iraq as a bulwark, the ascendancy and deepening reach of Iran, the perceived weakening of their strategic position following the fall of Hosni Mubarak in Egypt, the paralysis on the Arab-Israeli front, the rise to power of an intransigent Benjamin Netanyahu, and questions about the strategic wisdom and policy competence of their U.S. ally. Gulf anxiety about suspected Iranian manipulation and malevolence has peaked since the beginning of the Arab Spring. This compounds the twin, worst-case assumptions Gulf leaders make about Iran: that it is not merely interested in a nuclear weapons capability but in the bomb itself and that U.S.-orchestrated international diplomacy based on sanctions and conditional engagement will slow Iran’s nuclear progress only marginally at best. The Gulf states have come to see Iran’s nuclear program as the shield that allows Iran’s sword—its proxies, ideological and religious appeal, and propaganda efforts—to penetrate the Arab world. In fact, perhaps principally to raise urgency and keep Washington focused, the Gulf states have espoused hawkish views on Iran. In July 2010, the UAE ambassador to Washington publicly stated that the benefits of a U.S. bombing of Iran’s nuclear program outweighed the short-term costs that such an attack would impose. In a 2008 cable published by WikiLeaks in late 2010, King Abdullah of Saudi Arabia exhorted U.S. diplomats to “cut off the head of the snake,” a reference to U.S. military strikes against Iran. The debate is open in the Gulf states about whether countering the challenge of regional proliferation requires a greater abidance by and advocacy of international norms as a means of global protection or a less internationalist strategy that leverages wealth and geo-economic standing to strengthen and diversify bilateral strategic relationships. Their approach so far has involved both elements. The Gulf states have been largely silent in the discussions to date about the 2012 conference, but as good global citizens and for their own national security ­interests, they can ill afford to ignore the conference. A conference that singles out Israel, whether it attends or boycotts the event, but ignores Iran would confirm their fears about the inevitability of a nuclear-armed Iran and the prospect of being squeezed between nuclear rivals. Moreover, the Gulf states want to avoid an outcome that enshrines a Middle Eastern WMD-free zone as the sole regional security architecture rather than one of its key elements. This distinction is aimed primarily at preserving the Gulf states’ paramount security relationships. Given their low expectations, they might be satisfied with an outcome in which other states, notably Iran and Israel, emerge from the conference as the culprits behind continued regional instability. Even better would be a process for overcoming the instability. At the same time, the Gulf states want to avoid the responsibility of agenda setting and advocacy on nuclear proliferation. Except for some prior disagreements with Cairo over their backing of a Gulf WMD-free zone, they have seemed content with Egyptian leadership. Importantly, although Egypt derives prestige and influence from its nonproliferation advocacy, the Gulf states seem uninterested, preferring to focus on exploring the prospects for introducing civilian nuclear energy, as the UAE has contracted to do. Given the turmoil in Cairo and questions about Egypt’s strategic trajectory, however, it is plausible that Egypt will be unable to define a coherent, workable position and mobilize Arab support. Eyes would then turn to the Gulf states, most notably Saudi Arabia, for guidance. Recently, Saudi Arabia has shown signs of distrust and displeasure with the West and the United States in particular. Saudi assertions of power have culminated in comments by a senior Saudi royal, Prince Turki al-Faisal, that a nuclear Iran “would compel Saudi Arabia . . . to pursue policies which could lead to untold and possibly dramatic consequences.” This was widely understood as a threat to proliferate in kind, perhaps as a trial balloon. Curbing the likelihood of an arms race in response to Iran’s nuclear program is perhaps why the Obama administration is exploring the possibility of a nuclear cooperation agreement with Saudi Arabia. Another matter of concern for the Gulf states will be the political cost associated with the conference. When the Obama administration threw its support behind the 2012 conference, it was partly out of hope that it would help create an atmosphere conducive to progress on the Arab-Israeli track. This expectation has floundered over the collapse of the Israeli-Palestinian negotiations. The conference could well be hijacked over that issue, placing the Gulf states in a potentially embarrassing situation. Indeed, the Gulf states need political cover in order to be taken seriously in their calls for a regional security conference, and this cover comes from the peace process. By pursuing a WMD-free zone in the Middle East without a peace process underway, the Gulf states would be seen as making too many concessions to the United States without making any gains on the Arab-Israeli track. Dina Esfandiary, Elham Fakhro, and Becca Wasser are research analysts with the International Institute for Strategic Studies. 1. Despite their differences on other foreign policy matters, the Gulf states seem to agree on the need for a comprehensive regional security framework such as a Middle Eastern WMD-free zone. 2. The Gulf states’ view on Iran’s regional meddling is visible in the closing or public statements after their meetings. For example, in April, the Gulf Cooperation Council (GCC) called on Iran to “cease interfering in the internal affairs of the GCC.” See GCC, “21st EU-GCC Joint Council and Ministerial Meeting Abu Dhabi,” April 20, 2011, www.gcc-sg.org/eng/index5ec6.html?action=Sec-Show&ID=322. 3. For official documents on the Gulf WMD-free zone, see Gulf Research Center (GRC), “Nuclearization of the Gulf,” Security and Terrorism Research Bulletin, No. 7 (December 2007), pp. 32–37, www.isn.ethz.ch/isn/Digital-Library/Publications/Detail/?ots591=0c54e3b3-1e9c-be1e-2c24-a6a8c7060233&lng=en&id=56136. 4. Kareem Shaheen, “Sheikh Abdullah Calls for an End to Iran Stand-off,” The National, December 8, 2010. 5. Dina Al-Shibeeb, “Iran’s Bushehr to Endanger the Gulf If Quake Hits,” Al-Arabiya, April 2, 2011. 6. International Institute for Strategic Studies (IISS), “Nuclear Programmes in the Middle East: In the Shadow of Iran,” IISS Strategic Dossier, May 20, 2008, ch. 2. 7. Eli Lake, “UAE Diplomat Mulls Hit on Iran’s Nukes,” The Washington Times, July 6, 2010. 8. GRC, “Nuclearization of the Gulf,” p. 10. 9. Jason Burke, “Riyadh Will Build Nuclear Weapons If Iran Gets Them, Saudi Prince Warns,” The Guardian, June 29, 2011. In 1991, in the wake of the Persian Gulf War, the international community sought to tighten controls on the conventional arms trade. Today, as Libyan leader Moammar Gaddafi uses imported military equipment against opponents of his regime, the 1991 efforts and their mixed results deserve renewed attention. Two decades ago, Iraq invaded Kuwait, using weapons provided by the major arms-supplying states. In the wake of the resulting Persian Gulf War, the international community sought to tighten controls on the conventional arms trade to prevent similar misuses of the weapons. Today, as Libyan leader Moammar Gaddafi uses military equipment acquired from a host of arms-exporting states to kill thousands of Libyan citizens who were rebelling against his authoritarian and repressive rule, the 1991 efforts and their mixed results deserve renewed attention. On August 2, 1990, a well-equipped Iraqi army invaded Kuwait and in two days declared it the 19th province of Iraq. Saddam Hussein’s forces were able to do this thanks to the arms they had imported from China, France, Russia, the United Kingdom, and the United States—the five permanent members of the UN Security Council, or P5—as well as Germany and other states. In both words and actions, the international community quickly realized that the arms exports had led directly to conflict. The ensuing Persian Gulf War cost more than $70 billion to wage, albeit with minimal military casualties, and resulted in a global economic upheaval costing billions more. After the war, there was an outpouring of proposals from all quarters, and many efforts were made to control and restrain the arms trade. This article reviews four of them, with an eye to how the lessons learned may guide efforts undertaken in response to the recent developments in Libya and elsewhere in the Middle East. The most revolutionary aspect of this initiative was the call for consultations among suppliers. These talks were to include notifying one another in advance of certain arms sales, meeting regularly and on an ad hoc basis if a “supplier believed guidelines were not being observed.” The mechanism also called for an annual report on transfers. These negative outcomes did not specifically include the recipient’s use of the imported arms to violate the human rights of its citizens. Also, there was no mention of a consultation process. It was later revealed that there was serious disagreement in the P5 about the use of prior notification, as well as whether the guidelines would apply globally or just to the Middle East. There were two additional meetings in 1992, but the issues were not resolved, and the P5 process ceased at that point. (Almost) Dead on Arrival: The UN Register. The only truly global effort to survive was the UN Register of Conventional Arms. The idea of an arms register had been percolating in the United Nations since 1988 as well as during the P5 talks discussed above. It became the fallback position for a failed P5 effort and in fact may have contributed significantly to the failure of that initiative. The register was designed as a cooperative security measure that would prevent “excessive and destabilizing arms buildups pos[ing] a threat to national, regional and international peace and security, particularly by aggravating tensions and conflict situations.” It was to do so by having states voluntarily submit an annual report on the import and export of major conventional weapons—tanks, fighter aircraft, etc.—that had been delivered in the previous calendar year. The framers of the register were able to get agreement from states to develop a form for submitting data on exports and imports but not on military holdings and procurement through national production. For the data on holdings and domestic procurement, they settled for states submitting this information as “background information,” seen by all as a lesser requirement. In retrospect, indications that the register would never reach its potential surfaced immediately, during the deliberations to create the forms and procedures for states to submit data. A watered-down version survived, but even by that date, a majority of the members of the UN panel of experts charged with developing the register made it clear that the register had been approved under very unusual circumstances and that if it were up for a vote in the General Assembly now (June 1992), it would not pass. Today it is clear that the register had not accomplished any of its goals. Although it has resulted in increased transparency, it has not restrained or controlled the arms trade as some of its backers once hoped. The reasons are clear and provide the main explanation for the decline in participation in the register and the failure of a global mechanism to emerge. They also serve as a guide to future efforts to prevent and control the negative consequences of arms exports. • The original resolution establishing the register pushed to a later time all of the critical elements that would have made it a truly global instrument for restraint and control. These included adding data in the annual reports on national production and military holdings. Export and import data alone cannot provide any meaningful measure as to whether transfers result in an “excessive and destabilizing” arms buildup. None of these enhancements to the register ever occurred. • The enabling resolution assigned the difficult question of defining “excessive and destabilizing” to the Conference on Disarmament. After two years of discussion, that body could not agree on a practical definition of the concept. • The register could not overcome the view of many states that transparency runs counter to the most effective means of defending themselves: secrecy. • The hoped-for consultative mechanism was never seriously considered. The establishment of the register was aided by the ending of the Cold War, as Russia almost disappeared as an arms exporter, and with it a major rationale for the conventional arms trade. However, the end of the Cold War also produced an environment that made the register increasingly irrelevant, given that most armed conflicts were intrastate and employed a different class of weapon—small arms and light weapons. This combination of factors has resulted in a gradual decline in the motivation of states to participate in and further develop the register. NormBuilding in a Suppliers Club: The Wassenaar Arrangement. The Wassenaar Arrangement on Export Controls for Conventional Arms and Dual-Use Goods and Technologies was formalized in 1995. It is a suppliers club whose members agree to prevent, through their national export control policies, the destabilizing accumulation of conventional arms and dual-use goods and technologies. It is not a global mechanism because it includes only exporters, not importers, of conventional arms and dual-use goods and technologies. Its members’ dealings are not transparent, and it relies on national arms export decisions. Yet, it does contain some of the features missing in the UN Register, such as a forum whereby states can raise questions about dangerous arms buildups and thereby prevent armed conflict. • compatibility of the arms exports with the technical and economic capacity of the recipient country. The code also has a consultative and reporting mechanism and calls for states to report all transfers that they deny, for the purpose of discouraging other states from making the sale. All decisions are made at the national level, based on each government’s interpretation of the eight criteria. How has the experience of attempting to control the conventional arms trade since 1991 influenced the current response to yet another misuse of arms exports by an importing state? Some of the reaction looks familiar. A March headline in the Guardian blared, “EU Arms Exports to Libya: Who Armed Gaddafi?” The Stockholm International Peace Research Institute’s Arms Trade Project produced an article calling for a “critical evaluation of arms supply policies towards Libya” to inform the debate on arms trade controls. As expected, the civil society organizations supporting the development of an arms trade treaty (ATT) responded negatively and swiftly to these events and called for a strong ATT. Most of the criticism, however, was directed at the states that had taken advantage of the “new” Libya, which had been open for legitimate arms exports since 2003, after Gaddafi renounced weapons of mass destruction. The British press and Parliament were particularly critical of the United Kingdom’s exports to Libya. However, their proposed remedies focused on improving British arms export policy, rather than improving the EU code of conduct or creating an ATT. Clearly, the global response to the Libyan case was not the same as Iraq in 1991. In the Iraqi case, a very structured, patron-client Cold War arms trading system had collapsed. Nothing had taken its place yet. Today, there is a global arms trade system that has evolved over the past 20 years, somewhat similar to the Cold War era in that it is based on unilateral (national) restraint and control guided by an emerging set of regional and global criteria. States seem very comfortable with this system and not in a hurry to change it. The current context is defined by a set of criteria that an increasing number of states consider prior to exporting arms. These criteria did not exist in 1991. In the Libyan case, the result is that video clips showing the inhumane use of weapons condemn implicate not only Gaddafi and his regime but also the governments that supplied the weapons. This then led to civil society and legislatures bringing pressure on European national governments for violating the arms export norms to which they had agreed. It also is important that the international community is in the process of negotiating a legally binding ATT. There is evidence that those states negotiating an ATT were not influenced by the events in Libya, given the work already underway to fashion an ATT that can prevent or seriously reduce exactly the type of transfer that had taken place. As mentioned above, because the international community’s primary concern is reducing and preventing the armed violence in intrastate conflicts, it pays less attention to major conventional weapons, such as tanks and aircraft, than to small arms and light weapons. Arms trade issues today are more about human security than just national security. This is reflected in the case of Libya where the security of people is the prominent issue, not the security of Libya or any of its neighboring states. Global control measures have been put into place to deal with these threats to human security, including the UN Program of Action on small arms (2001), the UN Firearms Protocol (2001), the International Tracing Instrument (2005), the Geneva Declaration on Armed Violence and Development (2006), and the ongoing UN project to develop international standards to control small arms. This recap of the past 20 years suggests that certain realities should guide efforts to restrain and control arms exports. • No consensus exists that the negative consequences stemming from the trade in major conventional weapons require regulatory action at the global level. With the possible exception of MANPADS in the hands of terrorists, no weapon in this category is considered inherently dangerous by the international community. Excessive and destabilizing buildups leading to interstate war have become rare. Legitimate self-defense (Article 51 of the UN Charter) is a powerful challenge to those who would put controls on who can transfer what to whom. There is no longer a common enemy and, for major weapons, no common moral imperative for restraint. • Although measures restraining and controlling the full range of conventional weapons may be difficult to implement, it is still possible to construct such measures if they focus on a specific weapon. A case in point is the consensus to employ restraint when exporting MANPADS. All states could suffer from the proliferation of these weapons to terrorists groups that could use them to destroy civilian aircraft in flight. • Most states view arms exports as benign (with the main export rationales being economics and prestige) or positive in the traditional national security sense (mutual deterrence). Examples that duplicate the Iraqi buildup and invasion in 1990 are difficult to find. The empirical link between arms exports and conflict remains elusive, in contrast to the well-established link between imported arms and violations of human rights, the main reason for generating the ATT process. • In the past 20 years, there has been a developing consensus on the criteria that should guide national arms exports. However, states still feel free to interpret these criteria using national factors such as the need to maintain relations with an importing state even if it does not meet arms export criteria. This is the key finding in the case of the United Kingdom and other states arming Libya. • Despite an initial effort to create a multilateral mechanism based on prior approval of exports, this concept is dead. Arms export decisions remain the purview of states. • It is very difficult to declare that a particular transfer will have negative consequences. It normally takes years for a buildup to look dangerous. • Transparency is a nonstarter if it involves revealing secrets about critical data on national production and holdings. This will complicate efforts to demonstrate that a particular export will have negative consequences, other than that it easily can be used to violate the human rights of the importing state’s citizens. The leaders of current and future efforts in arms trade restraint and control should keep these realities in mind. These efforts will focus on continuing the development of criteria that states agree should be utilized when exporting arms, as well as on ways in which states can prevent the diversion of arms that they control. In this regard, the creation of a legally binding ATT will mark an important step forward, as the EU code of conduct did when it became legally binding in 2008. Making a transfer that runs counter to the criteria developed in an ATT a violation of international law may not prevent every unwise transfer, but it certainly will raise the stakes and shine a brighter light on irresponsible arms export behavior. These restraint and control efforts must be accompanied by a global initiative to assist states that desire to comply with these norms but lack the capacity to do so. If states do not want to comply with these norms, other states must develop the courage to “name and shame.” The immediate mea culpa by the United Kingdom in the Libyan case is an example of what one increasingly would hope to see as an evolving deterrent to such arms export behavior in the first place. The longer-term goal is to transform mea culpas into national denials of those arms exports that pose even a slight risk of enhancing armed conflict and harming human security. Edward J. Laurance is a professor of international policy studies at the Monterey Institute of International Studies. He was a consultant to the UN Register of Conventional Arms (1992-1994), the UN Group of Governmental Experts on Small Arms (1996-1997), and the UN Program of Action on small arms (2000-2001). He is the author of The International Arms Trade (1992). 1. Office of the Press Secretary, The White House, “Fact Sheet: Middle East Arms Control Initiative,” May 29, 1991. 2. Stockholm International Peace Research Institute, “The United Nations - Guidelines for Conventional Arms Transfers 1991,” March 2004, http://archives.sipri.org/contents/expcon/unp5_london91.html (original dated October 18, 1991). 3. For an insider’s view of the P5 initiative, see James A. Lewis, “Multilateral Arms Transfer Restraint: The Limits of Cooperation,” Arms Control Today, November 2005, pp. 45-48. 4. For this assessment of the register, see Edward J. Laurance, Hendrik Wagenmakers, and Herbert Wulf, “Managing the Global Problems Created by the Conventional Arms Trade: An Assessment of the United Nations Register of Conventional Arms,” Global Governance, Vol. 2, No. 11 (Spring 2005): 225-246. 5. UN General Assembly Resolution 46/36L, December 1991. 6. The author, along with Herbert Wulf, was tasked by a UN panel of experts with designing the first draft of the register in the spring of 1992. 7. In 2009, only 23 states reported background information on military holdings. Nineteen were European states, the least likely to be involved in interstate conflict with major conventional weapons. 8. The variety of terms used for recipient country reflects the actual documents establishing the code. 9. Pieter D. Wezeman, “Libya: Lessons in Controlling the Arms Trade,” SIPRI, March 11, 2011, www.sipri.org/media/newsletter/essay/march11. 10. This information was gathered in conversations with experts with direct knowledge of the ATT at UN meetings held in March 2011. 11. The distinction, according to one author, is that “[h]uman security is about the everyday security of individuals and the communities in which they live rather than the security of states and borders.” Mary Kaldor, “Human Security in Complex Operations,” PRISM 2, No. 2 (March 2011), www.ndu.edu/press/human-security-complex-operations.html. 12. CASA Project on International Small Arms Control Standards, www.un-casa-isacs.org/isacs/Welcome.html. 13. For two excellent sources on the issue of man-portable air defense systems, see Matt Schroeder, “Countering the MANPADS Threat: Strategies for Success,” Arms Control Today, September 2007, pp. 6-11; James Bevan, “Connecting Paradigms: MANPADS in the National and Human Security Debates,” UNIDIR Disarmament Forum, No. 1 (2007), pp. 43-51, www.unidir.org/pdf/articles/pdf-art2599.pdf. "Redirecting" scientists who worked in programs to produce weapons of mass destruction is a key part of U.S. nonproliferation efforts. In spite of current budget constraints, the United States needs to improve its capacity in that area. The difficulties that such programs faced in Iraq provide valuable lessons for future work. December 26, 2011, marks the 20th anniversary of the collapse of the Soviet Union. It was cause for celebrations in the West, but also for grave concern because it unleashed enormous security challenges. Vast stockpiles of weapons of mass destruction (WMD) and the materials to make them suddenly were at risk, potentially available for theft or sale to the highest bidder. The United States responded quickly by enacting legislation sponsored by Senators Sam Nunn (D-Ga.) and Richard Lugar (R-Ind.) that laid the foundation for the country’s cooperative threat reduction (CTR) programs. These programs quickly grew into a multiagency effort involving the departments of Defense, Energy, State, and others, now spending about $1.7 billion annually. CTR programs have achieved an impressive record of WMD materials secured or destroyed. The world has changed greatly during these past two decades, complicating efforts to secure remaining Cold War WMD materials and posing new threats in new places. Calls by scholars and policymakers to revise CTR programs have been growing in recent years. The National Academy of Sciences recently completed an extensive study, recommending a major reorganization of the programs, which the academy dubbed CTR 2.0. CTR programs have been adapting, but much more needs to be done to fulfill President Barack Obama’s 2009 commitment to secure all nuclear materials in four years, let alone protect against the full range of WMD threats. The production of weapons of mass destruction requires expertise as well as materials; efforts to prevent the proliferation of WMD expertise often are characterized as scientist redirection because they redirect the scientists’ skills and expertise to productive civilian applications. Redirection and other engagement programs have been a component of CTR programs since its beginning, albeit with the smallest share of CTR funding and personnel. These programs have difficulty securing adequate political support, in part because the work does not yield the immediate, tangible “scorecard” accomplishments that come from securing WMD materials. However, the materials for many chemical and biological weapons are so prevalent that controlling WMD expertise is the best hope for nonproliferation. Malevolent state or nonstate actors can re-create WMD materials if they have the appropriate expertise. Even for nuclear weapons, countries that pursue uranium bombs from domestic sources may be limited by the expertise required for enrichment. Thus, securing WMD materials is a tactical response. Securing WMD expertise is more of a strategic activity because it deals with the ability to make WMD materials. Therefore, CTR 2.0 should include a greater emphasis on redirection. The vast majority of redirection funding has been spent on the scientists and engineers of the former Soviet Union, but there are significant, ongoing efforts to redirect former WMD scientists and engineers in Iraq. (The lack of WMD stockpiles in Iraq should not distract observers from the fact that Saddam Hussein had an elaborate program to retain WMD experts, as discussed below.) Efforts to redirect Iraqi scientists began in 2003 under extraordinary circumstances that were very different from those in the former Soviet states. Important lessons can be learned from the redirection program in Iraq, and those lessons are made clearer by contrasting the Iraqi program with the ones in the former Soviet states, which have been analyzed more extensively. The extreme differences in security and political conditions provide useful, widely separated points on the spectrum of possible conditions confronting future redirection programs. As explained below, conditions in the former Soviet states were relatively safe, and physical and bureaucratic infrastructures of those states were relatively intact. The opposite was true in Iraq. This article focuses on the start-up of the Iraqi program—the most difficult stage, where delays compound the risk of proliferation. Future redirection programs are likely to fall somewhere between these two examples on the spectrum of possible political and security challenges. It is impossible to predict when or where the next opportunities for redirection will arise, but possibilities for redirection in Iran and North Korea have been discussed actively since at least 2004. Opportunities could arise in Cuba, Myanmar (Burma), Syria, or Venezuela or in unanticipated places, such as Libya in 2003. The speed with which the Arab Spring has spread throughout the Middle East underlines the need to be prepared to act. Programs need to be flexible, agile, and ready to execute on short notice. To help prepare for these possibilities, lessons learned from the redirection effort in Iraq should be built into plans for CTR 2.0. Prior to the 1991 Persian Gulf War, Iraq invested heavily in developing the full spectrum of weapons of mass destruction, producing and using chemical weapons and conducting research for biological and nuclear weapons. After that war, Iraq was subjected to sanctions and UN-led inspections. Under great international pressure, Hussein’s regime apparently ceased WMD production and disposed of its stockpiles some years before the 2003 invasion, with the notable exception of its missile program. However, Iraq retained its cadre of WMD scientists and engineers, primarily in the Military Industrialization Commission (MIC) and the Iraqi Atomic Energy Commission (IAEC). Although the IAEC’s connection to weapons of mass destruction is obvious, the MIC’s role requires explanation. The MIC was a consortium of dozens of state-owned companies with both military and civilian functions. For example, the Tariq chemical company purported to produce pesticides for local and regional markets. There is little evidence that it produced chemical weapons in the years immediately prior to the 2003 invasion, but the company played a key role in Iraq’s chemical weapons program in the 1980s and early 1990s. Many of Iraq’s known chemical weapons experts were still employed there in 2003. This provided a mechanism for giving the experts prestigious rank and salary in the Iraqi civil service and kept them under government control. The experts would be needed to restart chemical weapons programs, which was their plan once international sanctions were relaxed. By 2003 most Iraqi WMD experts were discreetly employed in companies of the MIC, with others housed in the IAEC, ministries, and universities. After the invasion, the Coalition Provisional Authority (CPA) issued Orders 2 and 75, disbanding the IAEC and “realigning” the companies of the MIC. Although most IAEC employees and some MIC employees were absorbed later by the newly created Ministry of Science and Technology, roughly 50,000 MIC employees were transferred to the Ministry of Finance, where they received little compensation and essentially were idled. They lost their rank, status, income, and direction; they were stranded. The vast majority of the 50,000 had been involved in nonmilitary or conventional weapons manufacturing with no WMD backgrounds, yet most Iraqi WMD experts were among them. Moreover, under CPA Order 1, many IAEC and MIC senior employees, including senior WMD experts, had been banned from any government employment for being high-ranking members of the Ba’ath Party. Postinvasion investigations revealed that much of Iraq’s WMD expertise was dated and probably of little value to developed countries with active WMD programs. However, the expertise was certainly of value to countries aspiring to develop WMD capabilities and especially to nonstate actors. Insurgents in Iraq were actively looking for Iraq’s WMD experts almost from the beginning of the insurgency and continued that effort for years. In 2006 the leader of al Qaeda in Iraq called on Iraqi WMD experts to join the fight by developing and testing biological weapons: “We are in dire need of you. The field of Jihad can satisfy your scientific ambitions and the large American bases are good places to test your unconventional weapons.” It would have been a great risk to leave WMD experts without direction or financial support in that environment. The goals for redirection in the former Soviet Union and Iraq were the same: to prevent the proliferation of WMD expertise from stranded WMD scientists and engineers and to shift them to civilian work. The environment, however, was completely different. In the former Soviet states, the physical infrastructure for WMD research, development, and production remained intact, providing experts with places to work if the facilities and personnel could be transitioned to peaceful research activities. 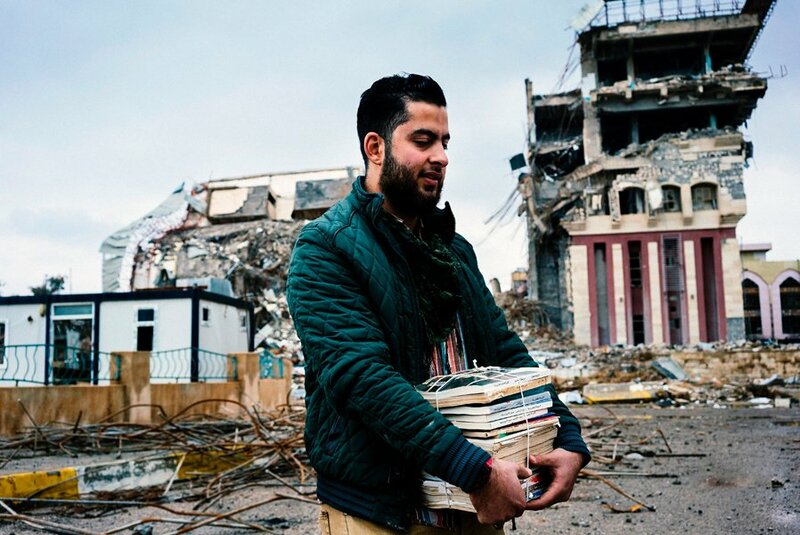 In Iraq, the chaotic looting of 2003 destroyed the physical infrastructure of most of the MIC, along with much of the rest of the country’s economic infrastructure. The thoroughness of the destruction was astonishing. Equipment was stolen or vandalized beyond repair; furniture was stolen; light fixtures, doors, windows, and even electrical wiring were ripped from the walls. Government research facilities, MIC factories, and even university laboratories all met similar fates. If Iraqi WMD experts were to be employed in civilian work, their places of work would have to be rebuilt, almost from scratch. The same story can be told for bureaucratic infrastructure. The central government of the Soviet Union fell, but the rest of the command structure remained in place. Most of the hierarchy of technicians and assistants, senior scientists, project managers, and executive directors of the WMD facilities remained on duty, awaiting direction (and pay). Those in leadership positions had little to fear and much to gain from cooperation with the Americans. In contrast, the entire bureaucratic hierarchy in Iraq was shattered; initially, no one was in charge. Many Iraqi WMD experts were unemployed, financially insecure, and frightened. Many wondered if U.S. redirection officials were there to help them or imprison them. Working with the Americans only raised their profile with the insurgents, and indeed, some were threatened and even killed. Finally, simply identifying WMD experts was far more difficult in Iraq. The Iraqi government had engaged in a shell game with its WMD experts for years prior to the invasion. To comply with UN mandates, the government established the National Monitoring Directorate, which created a list of approximately 500 WMD experts and provided it to UN inspectors. This list was both incomplete and padded with non-WMD personnel. Even Iraqi officials probably did not have a complete list of names, let alone contact information. Planning for redirection in Iraq began in earnest in 2003, led by the deputy director of the U.S. Department of State’s Office of Proliferation Threat Reduction (now called the Office of Cooperative Threat Reduction). After intense interagency discussions, it was agreed that the effort to find new employment for Iraqi scientists and engineers would focus less on scientific research and more on jobs that contributed to rebuilding Iraq. By December 2003, the State Department had approval for its plans, $2 million in immediate funding, and indications that another $20 million in follow-up funding was likely. In January 2004, the deputy director and two U.S. scientists traveled to Baghdad to set up the IraqiInternationalCenter for Science and Industry. Loosely modeled on the International Science and TechnologyCenters in Russia and Ukraine, the science center was to be the vehicle for engaging Iraqi scientists with previous ties to WMD programs and redirecting their expertise to peaceful work. Given the poor state of Iraqi infrastructure, it was hoped that Iraqis participating in the redirection program would support reconstruction goals. Reducing the potential for proliferation by getting some of Iraq’s best minds involved in rebuilding their country seemed to be a win for all participating parties. U.S. redirection officials operating in Baghdad faced many challenges. They arrived in Baghdad without a field office, and they knew little about Iraq’s scientific community and the identities of those who had previously worked in WMD programs. Neither the U.S. Department of Defense nor the CPA (which functioned as a division of that department) had much enthusiasm for the State Department’s redirection program. Their cooperation with the redirection officials was limited, with the exception of extraordinary support from a few individuals. Infrastructure associated with Iraq’s banking sector was essentially nonexistent; simply moving funds into the country was a difficult, time-consuming task. Despite these challenges, by the time the CPA transferred authority to the Iraqi Transitional Government in June 2004, redirection officials had established the science center office outside the heavily guarded Green Zone and hired an Iraqi staff, including a senior MIC administrator. About a dozen of Iraq’s most senior scientists, most with WMD connections, formed an advisory committee to recruit and vet new members for the center and review their proposals. The former head of the monitoring directorate, who had extensive knowledge of Iraq’s WMD personnel, was recruited to join the center. An additional 40 WMD experts were recruited, vetted, and accepted as members. Members of the center received a stipend and were encouraged to develop proposals using their technical expertise for civilian development. Early expectations were that $37.5 million from the Development Fund for Iraq (formerly the Oil for Food program) would be made available to fund the best proposals, serving as Iraq’s contribution to redirection. It was hoped that these scientists would be able to establish businesses and hire additional personnel with previous ties to WMD programs. Some proposals were very large, such as restarting pesticide factories or establishing water treatment plants. Others were relatively small, such as rehabilitating a materials research laboratory at an Iraqi university. The first executive director of the center (one of the authors of this paper) arrived in August 2004. He and his staff began a series of workshops to help members update their basic skills (for example, most of them were unfamiliar with the Internet, and very few had experience in writing proposals) and expand their networks to search for employment opportunities. Over the next year, membership grew beyond 120. With assistance from the director, two dozen members were hired by Iraqi ministries for their technical skills, and a few were hired by Iraqi universities. The majority of the members, however, remained unemployed. The $37.5 million from the development fund never materialized, nor did the $20 million in follow-on funding from the U.S. government. Therefore, none of the large-scale proposals could be funded, which strained the members’ trust in the program. The insurgency grew rapidly during that year, increasing the sense of danger felt by members and limiting the U.S. staff’s mobility. Many members were too frightened to pursue government or private work, preferring to remain as inconspicuous as possible, supported by their stipend from the center. The redirection program held on as well as it could over the next few years as security deteriorated. More recently, the Iraqi redirection program has evolved and greatly improved. The science center has been phased out, along with the stipends. The Iraqi Scientist Engagement Program has taken its place. In 2009 it began expanding to include many more scientists and engineers, with more opportunities for research grants and fellowships, but five years is a very long time for WMD experts to wait for a program to assist them. Delays in securing WMD expertise can be more dangerous than comparable delays in securing WMD materials. Materials do not get impatient or disillusioned, nor do they worry about providing for their families. The experience in Iraq demonstrates that in setting up future redirection programs, the overriding concerns should be to make them more agile, flexible, and easy to establish on short notice and to do so as inexpensively as possible. Despite White House plans to request more CTR funding, recent budget battles make it clear that all discretionary programs will have to be very lean. Establish a Reserve Team. For most of the first year of operations, the redirection program in Iraq was run by only one staff member, located at the U.S. embassy in Baghdad with supervisory and support staff in Washington. In addition to his responsibilities with the redirection program, this person also carried out other duties for the U.S. mission in Iraq. As the critical objective at that time was to establish good relations with the WMD experts and relevant Iraqi government officials, the lack of staff hampered the program at its outset. It takes time to make these connections, especially in cultures where trust is established only through personal contact. Unfortunately, the tasks of getting the WMD experts paid when the banking system was not yet functional, securing the science center, and maintaining basic logistical support were at least a full-time job. In the first six months of the program, there was an unplanned staffing gap of two months, where initial staff had departed and the new executive director had yet to arrive. During the gap, relationships cooled, program information and materials were lost, and the confidence of the Iraqi WMD experts waned. The gap occurred because CTR officials simply did not have the staff necessary to run the program; staff and financial resources then were stretched further by the unexpected, urgent start-up of a similar redirection program in Libya. Key staff members had to be recruited. Recruitment, vetting, and security clearances take time, extending the time WMD experts are left stranded and exposed. Future redirection programs are likely to face similar delays and hindrances unless the responsible offices have more staff to deploy. Admittedly, maintaining additional staff with appropriate scientific backgrounds for potential future needs can be expensive. There are ways to minimize the costs, notably by recruiting and maintaining a core cadre of reserve staff for redirection. The cadre should be composed of respected scientists who are fully employed elsewhere (academia, the private sector, or the Energy Department and other U.S. government agencies), but are ready to take temporary leave when called up. CTR personnel should meet quarterly with the reserve staff to guide their study of current and potential redirection missions and familiarize them with the necessary bureaucratic and administrative procedures. Because the goal is to prepare a reserve staff for unplanned contingencies, such efforts should commence immediately. People from unexpected occupations are willing to take on such duties if they are made aware of the need. Establish a Reserve Budget. Discretionary money spent by the U.S. government usually is restricted to specific fiscal years. Under the best scenarios, it takes at least 18 to 24 months from the time an agency submits a formal request for additional funds to the time it can begin spending those funds. This was true even for requests for additional funding for development and reconstruction in Iraq and Afghanistan. Recognizing that two years is too long to wait to deal with orphaned WMD materials, the U.S. Congress created the Nonproliferation and Disarmament Fund (NDF). This fund’s mandate is to spend money on unanticipated, urgent nonproliferation and disarmament needs. It therefore has “no-year” money (meaning that the money can be held in reserve and does not have to be spent in a given fiscal year) and broad “notwithstanding” authority to spend money in places where U.S. law otherwise bans U.S. assistance. (It can be applied notwithstanding these other restrictions. For example, money could be spent from the NDF to assist a country in destroying missiles, even if that country does not meet U.S. human rights requirements for financial aid.) The initial funding for the Iraq redirection effort came from the NDF, based on the urgent, unanticipated nature of the project. Nevertheless, redirection is a poor fit for the NDF, which is designed to deal with short-term projects that produce immediate, tangible results. The archetypal NDF project is the discovery of nuclear materials in an abandoned military warehouse in a poor country, with the country agreeing to have the U.S. remove the materials. The NDF is designed to provide the funds to hire teams with appropriate training and logistical support to remove those materials as rapidly as possible. Redirection efforts are necessarily long term and fundamentally less tangible. Nevertheless, redirection efforts may be needed on similarly short notice. If a central government falls, the WMD experts lose their supervision and support immediately. Efforts to safeguard dangerous WMD expertise should not be delayed for the months or years normally required to secure funding. Therefore, redirection should have a separate budget with no-year money and notwithstanding authority. It would differ from the NDF in providing initial funding for long-term projects. Projects funded from this redirection budget then should transition within three years to the normal congressional budget process and scrutiny. Designate a Leader for Redirection Programs. Historically, redirection was led by the State Department, although other departments have had redirection programs. In Iraq, by the end of 2003, several redirection programs were proposed, discussed, and in various stages of implementation. These programs were not well coordinated with one another. In addition to the State Department’s program (started with $2 million in emergency funding from the NDF), the Energy Department initiated a program to engage Iraqi scientists, and the Office of the Science and Technology Adviser to the Secretary of State had another program. The Civilian Research and Development Foundation (CRDF), a U.S.-based nonprofit, reportedly was starting another program out of its own internal funds. As noted above, the CPA had budgeted $37.5 million; that money was for the incoming Iraqi government to spend on retention and redirection of the WMD scientists through the creation of the Iraqi Nonproliferation Programs Foundation (INPF). The CPA budget for Iraq listed additional funds for other programs to retain and redirect Iraqi WMD experts and indicated follow-on funding of $20 million per year for 2005 and 2006. It was reported in the media at the time that Secretary of State Condoleezza Rice had asked or would be asking for $20 million to continue funding the redirection program. The general perception at the time was that the U.S. redirection effort was well funded. The reality was very different. The effort to allocate the $37.5 million to the INPF or any other redirection program failed. The Energy Department did implement its program eventually, but it took years to start and was criticized by some for spending too much of its money in the United States instead of on Iraqi experts in Iraq. The CRDF began to play its vital role in redirecting Iraqi experts in 2004, but the money for the group’s activities came from the State Department’s initial $2 million emergency fund. There was no new funding for the Iraq redirection program in the White House budget requests to Congress for the first few years, in part because of the mistaken impression that the program was well funded from the above-named sources. The number of different programs with overlapping goals contributed to the confusion. Therefore, one office should be clearly designated as the leader for all U.S. WMD redirection activities, with sufficient authority to coordinate programs across departments. If there had been one lead office that spoke for redirection in Iraq (including budget requests), confusion could have been minimized. Similar problems have been reported for the entire CTR program, and plans for CTR 2.0 call for consolidating leadership of the U.S. CTR effort under one senior official with an office in the White House or a seat on the National Security Council or both. The leader for redirection should report to the overall leader of CTR programs. Some may argue that the lessons from redirection in Iraq are not applicable to future CTR programs because the situation was unique. Only a few months ago, most analysts would have said that the United States and its allies are unlikely to use military force to bring about regime change in the foreseeable future. Yet, at this writing, NATO is bombing government assets in the capital of Libya. Governments in Iran, Myanmar, North Korea, and Syria face great internal challenges; clearly, fundamental change can unfold quickly and unpredictably. Any of these countries could see the rise of a new government that is open to redirection even while armed opposition to the new government continues. One can argue that redirection should not be attempted in places where active insurgencies or other instabilities place personnel at risk and hamper operations. Yet, the very circumstances that create risks for redirection staff also increase the risks of native WMD experts being threatened or co-opted by bad actors. Unfortunately, many of the likely scenarios in which redirection will be most needed are the very ones in which it will be most difficult. The changes recommended in this article also can be used to address the long-term challenges that come with redirection programs. It may take years to train WMD experts in new skills, and they possibly could be co-opted or coerced into returning to their previous weapons work, even years later. Therefore, in most cases these programs will need to be sustained for many years. The redirection programs in the former Soviet Union and Iraq have been criticized for failing to have clear exit plans or for assuming full government funding in perpetuity. One of the functions of the reserve team should be to develop strategies for long-term sustainability or exit plans. The hope in Iraq and Soviet redirection has been that the experts find employment in the private sector, contributing to the reconstruction and development of their countries. The reserve team should recruit successful members of the private sector from the United States and, if possible, current and expatriate citizens of the target countries. The team should be charged with developing recommendations for the long-term sustainability of redirection plans, such as tax incentives for private sector investment businesses that make use of former WMD experts. Although this is a difficult time to ask for more resources for any government program, the timing may be favorable for U.S. redirection programs. While he was a senator, Obama became well versed in the dangers of WMD proliferation, working closely with Lugar to master the issues. His plan to secure all loose nuclear materials within four years demonstrates his commitment to fighting WMD proliferation. In this same time frame, Secretary of Defense Robert Gates has called for more funding and more staff for the State Department, even while warning his staff that the Defense Department cannot continue on its recent trajectory of growth. This level of interdepartmental support is extraordinary. Coupled with Obama’s commitment to nonproliferation goals and the calls for updating nonproliferation programs into CTR 2.0, this interdepartmental cooperation opens a unique opportunity to garner the modest increases in support necessary for the United States to expand its redirection and scientist engagement programs. If one accepts the premise that human expertise in WMD science and technology is as dangerous in the long run as WMD materials, then the U.S. government needs to improve its capacity for securing WMD expertise. As the United States updates and expands its nonproliferation programs into CTR 2.0, it should consider these recommendations to allow for rapid establishment of effective redirection programs anywhere the needs and opportunities arise. Peter D. Smallwood is an associate professor of biology at the University of Richmond. From 2004 to 2005, he served as executive director of the redirection program for Iraqi scientists and engineers who had been working in programs to produce weapons of mass destruction. William T. Liimatainen was a 2009 Department of Defense research fellow who studied post-2003 events in Iraq as they related to the country’s Military Industrialization Commission. The views expressed in this article are those of the authors and do not represent the views of the U.S. government or any of its agencies. 1. Soviet Nuclear Threat Reduction Act of 1991, Public Law 228, 102nd Cong., 1st sess. (November 27, 1991). 2. Bonnie Jenkins, “Cooperative Threat Reduction: A Historical Perspective,” Arms Control Today, January/February 2011. 4. James E. Goodby et al., “Cooperative Threat Reduction for a New Era,” Center for Technology and National Security Policy, National Defense University, September 2004; Government Accountability Office (GAO), “Weapons of Mass Destruction: Nonproliferation Programs Need Better Integration,” GAO-05-157, January 2005; Robert A. Robinson, “DOE Needs to Reassess Its Program to Assist in Russia and Other Countries,” Testimony before the Subcommittee on Oversight and Investigations, Committee on Energy and Commerce, House of Representatives, January 2008. 5. NationalAcademy of Sciences (NAS), “Global Security Engagement: A New Model for Cooperative Threat Reduction,” 2009. 6. Kenneth N. Luongo, “Loose Nukes in New Neighborhoods: The Next Generation of Proliferation Prevention,” Arms Control Today, May 2009; Bonnie Jenkins, “Adapting to the Times: The Evolution of U.S. Threat Reduction Programs,” Arms Control Today, January/February 2011. 7. Brian D. Finlay, Elizabeth Turpen, and Frederick Kellert, “Manufacturing Possibility: Expanding Resources to Meet Global Challenges, Promote Economic Development, Support Innovation, and Prevent Proliferation,” StimsonCenter, April 2008. 9. For information on Iraq’s WMD program, the role of the MIC, and the value of Iraqi WMD experts, see “The Comprehensive Report of the Special Advisor to the DCI on Iraq’s WMD,” September 30, 2004. The report is often known as the Duelfer report, and the group that prepared it is known as the Iraq Survey Group. 10. Texts of the Orders of the Coalition Provisional Authority, www.iraqcoalition.org/regulations/. 11. David E. Mosher and John V. Parachini, “Rereading the Duelfer Report,” International Herald Tribune, November 15, 2004, www.rand.org/commentary/2004/11/15/IHT.html. 12. John Gibson, “Al Qaeda Leader Calls for Scientists,” Fox News, September 28, 2006. 13. David Kay, “Statement on the Interim Progress Report of the Activities of the Iraq Survey Group Before the House Permanent Select Committee on Intelligence, the House Committee on Appropriations, Subcommittee on Defense, and the Senate Select Committee on Intelligence,” October 2, 2003; Sammy Salama and Cameron Hunter, “Iraq’s WMD Scientists in the Crossfire,” Center for Nonproliferation Studies, Monterey Institute of International Studies, May 2006. 14. UN News Center, “Iraq Gives UN List of Scientists Involved in Producing Weapons of Mass Destruction,” December 28, 2002. 15. Richard Boucher, “Redirection of Iraqi Weapons of Mass Destruction (WMD) Experts,” December 18, 2003, www.fas.org/nuke/guide/iraq/dos121803.html (U.S. Department of State press statement); Richard Stone, “Nonproliferation: New Initiatives Reach Out to Iraq’s Scientific Elite,” Science, March 12, 2004, p. 1594. 16. Edward W. Lempinen, ed., “AAAS S&T Policy Fellows Risk Their Lives to Rebuild Iraq,” Science, August 26, 2005, p. 1336. 17. Ronald E. Neumann, The Other War: Winning and Losing in Afghanistan (Washington, DC: Potomac Books, 2009). 18. Philipp C. Bleek, “Project Vinca: Lessons for Securing Civil Nuclear Material Stockpiles,” The Nonproliferation Review, Fall/Winter 2003, pp. 1-23. 19. Michael Roston, “Redirection of WMD Scientists in Iraq and Libya: A Status Report,” RANSAC Policy Update, April 2004. 20. Christina Asquith, “A $20 Million Carrot to Keep WMD Scientists in Iraq,” Christian Science Monitor, December 22, 2003. In his memoir, Mohamed ElBaradei “pulls no punches” in arguing for negotiation over either sanctions or force as a nonproliferation tool, reviewer Michael Adler says. Metropolitan Books, 2011, 352 pp. Mohamed ElBaradei has made headlines recently, campaigning in Egypt to steer his homeland’s transformation to democracy. However, his book The Age of Deception is on his previous life as the world’s premier nuclear diplomat. He was not afraid to make waves while in office and, on the evidence of this book, feels even fewer constraints now. He writes clearly and pulls no punches in narrating his struggle to get countries to see the campaign against the spread of nuclear weapons as one that should be built on dialogue rather than the force of arms. ElBaradei was director-general of the International Atomic Energy Agency (IAEA) from 1997 to 2009. The tall, shy Egyptian lawyer had joined the IAEA in Vienna in 1984, when, after teaching international law in New York, he became interested in nonproliferation. He built his career at the IAEA on what he described as “telling truth to power.” He opposed the U.S. invasion of Iraq in 2003, saying in dramatic testimony at the United Nations that his inspectors needed more time to determine if Saddam Hussein was reviving Iraq’s nuclear weapons program. He then tangled with the United States over Iran, criticizing U.S. policy as wrongheaded. ElBaradei urged unconditional engagement rather than confronting Iran with sanctions to force it to give up sensitive nuclear work. His efforts won him a Nobel Peace Prize, but they also brought claims that he was enabling Iran’s reputed quest for nuclear weapons. ElBaradei faces these charges head-on in his book. I told them I had “no box,” that I felt it part of my responsibility to speak out on matters that had a direct impact on the nuclear nonproliferation regime, a responsibility that, as a Nobel laureate, I felt even more keenly. When it came to reporting on verification issues, my role was to present the facts. But I had witnessed the discrediting and manipulation of the IAEA’s work in the lead-up to the Iraq War and would not allow that to happen again on my watch. I felt it was important to leave as little room as possible for media hype or manipulation. And it was my charge to help Member States find peaceful solutions to nuclear tensions, by contributing my perspective and vigorously supporting nuclear diplomacy. I knew, of course, that the states themselves made the decisions in the end. However, a Western diplomat who dealt often with ElBaradei told me when he heard I was writing this review that “if the Iranians get an atomic bomb, ElBaradei will have helped.” He said ElBaradei had toned down IAEA reporting of Iran’s violations of its NPT obligations and that his lobbying to allow Iran more time to comply with IAEA and UN Security Council demands weakened the impact of UN sanctions. This in turn weakened international diplomacy to get Tehran to rein in its nuclear ambitions, he argued. ElBaradei seeks to set this record straight in The Age of Deception. His book starts out with his effort to investigate Iraq’s nuclear program; reviews the topsy-turvy history in North Korea, where IAEA inspectors were kicked out and years later invited back in; and expresses ElBaradei’s irritation that the IAEA was denied its NPT-mandated role when left out of the U.S.-British negotiations to disarm Libya and when not given the information that led Israel to bomb a suspected nuclear reactor in Syria, information that would have led to an IAEA investigation rather than the military attack. The Western concern was that IAEA involvement could have derailed the secret talks with Libya and that an IAEA investigation would have helped the Syrians continue their nuclear work, just as Iran has while under inspections. The stories are told straightforwardly, with anecdotal details, such as that U.S. Secretary of State Condoleezza Rice sometimes buys five or six pairs of shoes at a time. There are good, previously unreported details about ElBaradei’s meetings with Iranian Supreme Leader Ali Khameini and U.S. President George W. Bush, who, according to ElBaradei’s account, told the IAEA chief, “I’m not a trigger-happy Texas cowboy, with six-guns” and then jokingly mimed drawing pistols from both hips. The bulk of the narrative, however, is about the Iranian crisis. The IAEA has been on the front lines for the diplomacy on Iran’s nuclear program. It is the world’s eyes and ears for verifying Tehran’s nuclear work. ElBaradei also defends the essential role of his UN agency in monitoring national nuclear programs and points out its limits. The IAEA has a mandate that makes it more of an accountant taking inventory of a country’s nuclear material than a detective investigating nuclear activities, even if the agency has come up with an additional protocol and other measures to make some detective work possible. ElBaradei was right about Iraq not having weapons of mass destruction and about the inefficacy of diplomacy with Iran. Since 2003, Tehran has been under constant international pressure over its nuclear work. It has developed, however, a program with thousands of centrifuges enriching uranium even while the Western battle cry was “not one centrifuge turning.” ElBaradei says the West failed to be realistic about what was needed to cut a deal with Iran. This would seem to mean that Western intransigence is to blame for Iran expanding its nuclear program, but U.S. officials and diplomats think Iran, far from being the victim, has been playing with the West as it exploits opportunities to do exactly what it says it wants to do: have an industrial level of enrichment. Seen this way, Iran is a cynical manipulator of diplomacy and international treaties rather than an offended party trying to ensure its national security. The gulf between ElBaradei’s and the Western views is a fundamental one. It is easy to see why the IAEA chief and his Western counterparts had such sharp differences, expressed privately and to some extent publicly, over how to deal with Iran. Many officials in the Bush and Obama administrations, as well as European diplomats, felt that ElBaradei bent over backward to give Iran breaks. For instance, ElBaradei presented a report in November 2003 that outlined some two decades of Iranian concealment of key nuclear facts and activities. He said Iran was dragging its feet in clearing up these issues. ElBaradei concluded, however, that “there is no evidence that the previously undeclared nuclear material and activities referred to above were related to a nuclear weapons programme.” As ElBaradei observes: “John Bolton, the U.S. undersecretary of state for arms control and international security, was furious that the IAEA had not taken a more hard-line position against Iran.” Such a position could have led to Iran being brought at this early stage before the UN Security Council, which unlike the IAEA has the power to impose sanctions. The Americans felt ElBaradei was letting the Iranians off the hook. The conflict over interpretation of data on Iran would flare six years later when the United States and France charged that ElBaradei was failing to confront Iran with the implications of intelligence that showed it engaging in weapons work. ElBaradei said he did not have proof the documents were genuine. Iran dismissed this “evidence” as forgeries. In the end, it was either ElBaradei’s biggest strength or his biggest failing that he used his perch at the IAEA to go beyond a verification role to take a political lead in defining the era’s key battles. Iran was the front where he had the greatest influence, but even after he enthusiastically greeted the emphasis on engagement by new U.S. President Barack Obama in 2009 and worked hard for a fuel-swap deal, the result was the same. The Iranians failed to make the gestures ElBaradei thought they should. The diplomacy remained where it has always been—stalemated—and Iran’s nuclear program continues to expand. ElBaradei’s narrative shows that fighting proliferation is fraught with problems of perspective as nuclear weapons are political as well as military statements. ElBaradei grew in stature in the 12 years he was the world’s top atomic investigator. The IAEA became increasingly central, even if some felt that ElBaradei, haunted by Iraq, erred in underplaying the need for aggressive action on other proliferation fronts. In his book, the professorial Egyptian doubles down on his conviction that negotiation must prevail over sanctions or force. Whether one agrees with him or not, The Age of Deception is a crucial contribution to the debate on what the past can teach the world as it tries to build a safer future. Michael Adler is a public policy scholar at the WoodrowWilsonInternationalCenter for Scholars in Washington, where he writes on Iran and nonproliferation issues. He covered the International Atomic Energy Agency in Vienna from 2002 to 2007 as a correspondent for Agence France-Presse news agency. The process of determining noncompliance is an important aspect of the International Atomic Energy Agency (IAEA) safeguards system, as well as the only established mechanism for determining noncompliance with the nuclear Nonproliferation Treaty (NPT) itself. Noncompliance with an NPT safeguards agreement constitutes violation of Article III of the NPT, the obligation to accept safeguards on all nuclear material, and, depending on the circumstances, possibly a violation of Article II, the obligation not to acquire nuclear weapons. In his April 5 speech in Prague, President Barack Obama said one of the needed improvements in the NPT regime is to ensure "immediate consequences for countries caught breaking the rules." Noncompliance is also assuming importance within discussions regarding various fuel-supply assurance schemes. A state would not qualify for assured fuel supply if found in noncompliance with safeguards obligations. Surprisingly, although the IAEA Board of Governors has determined on five occasions that a state was in noncompliance with its NPT safeguards agreement-Iraq (1991), Romania (1992), North Korea (1993), Libya (2004), and Iran (2006)-there remains no established definition of noncompliance. Lack of a definition may seem advantageous, allowing the board flexibility to deal with complex cases, but it comes at a cost. In this vitally important area, lack of clarity and consistency could have adverse consequences for the integrity and credibility of the IAEA safeguards system. It is necessary to distinguish between safeguards breaches that have actual or potential proliferation significance and less serious breaches. For this reason, the Statute of the IAEA gives the board the responsibility to determine if a particular case constitutes noncompliance. A mechanistic, black-and-white approach would be inconsistent with the board's responsibility to exercise judgment and would risk unintended consequences (e.g., trivializing the concept of noncompliance by referring to the UN Security Council cases that have no implications for international peace and security). Setting the bar too high, however, so that clear cases of noncompliance are not identified as such, will irreparably damage confidence in the IAEA. This article has its origins in suggestions made by Australia in 2004 during the board's deliberations on safeguards breaches in South Korea and Egypt. Many on the board were concerned with the handling of the Iranian case and felt that guidelines could assist all parties in understanding the issues and would be helpful to the board's deliberations in future cases. The board has not yet adopted guidelines, but informal consultations have continued among a number of board members. This article discusses the principles involved. The term "noncompliance," in the safeguards context, was introduced in the IAEA's founding statute, which entered into effect in 1957, more than 12 years before the NPT. Article XII.A of the statute outlines the IAEA's rights and responsibilities in situations where parties request that the agency apply safeguards. Article XII.C provides that IAEA inspectors have "the responsibility of...determining whether there is compliance with...conditions...prescribed in the agreement between the Agency and the State...concerned." Article XII.C further provides that "[t]he inspectors shall report any non-compliance to the Director General who shall thereupon transmit the report to the Board of Governors." Article XII.C requires the board to report noncompliance to the Security Council. The entry into force of the NPT in 1970 introduced a range of new obligations for non-nuclear-weapon states-parties, especially a requirement that they accept IAEA safeguards on all their nuclear material. accept safeguards, as set forth in an agreement to be...concluded with the [IAEA]...and the Agency's safeguards system...with a view to preventing diversion of nuclear energy from peaceful purposes to nuclear weapons or other nuclear explosive devices. ... The safeguards required by this Article shall be applied on all source or special fissionable material in all peaceful nuclear activities within the territory of such State, under its jurisdiction, or carried out under its control anywhere. These provisions contain several elements pertinent to the issue of compliance. The reference to "diversion of nuclear energy" is particularly interesting. Commonly, the term "diversion" is used in relation to nuclear material, but in the NPT, the term is given a much broader meaning. Here, the sense is the misuse of nuclear processes. Also interesting is the reference to prevention, which underlines the timely-warning aspect of safeguards. Timely warning must be forward-looking, drawing inferences from known facts. The safeguards agreement required of non-nuclear-weapon states under the NPT, now termed a comprehensive safeguards agreement, has been standardized through the model agreement published as IAEA document INFCIRC/153. In terms of the IAEA Statute, an NPT safeguards agreement is an "arrangement where the Agency is requested by the parties concerned to apply safeguards." The basic obligation in an INFCIRC/153 agreement, reflecting the language of NPT Article III.1, is "to accept safeguards...on all source or special fissionable material...for the exclusive purpose of verifying that such material is not diverted to nuclear weapons or other nuclear explosive devices." Also of fundamental importance is the obligation to cooperate with the IAEA in facilitating the implementation of safeguards pursuant to the safeguards agreement. A noncompliance finding may be reached through the process set out in Article XII.C of the IAEA Statute, outlined above, or through paragraph 19 of INFCIRC/153. Paragraph 19 provides that if the IAEA board, "upon examination of relevant information reported to it by the Director General finds that the Agency is not able to verify that there has been no diversion of nuclear material...to nuclear weapons or other nuclear explosive devices," the board may make the reports provided for in Article XII.C of the statute. Although INFCIRC/153 does not use the term "noncompliance," the effect of the reference in paragraph 19 to Article XII.C is to bring the concept of noncompliance into INFCIRC/153. The cases mentioned at the beginning of this article demonstrate the firmly established practice of the board in reaching a specific finding of noncompliance with respect to INFCIRC/153 agreements. One way to understand the relationship between Article XII.C and paragraph 19 is to see the former as applying to unambiguous noncompliance, such as detection of diversion or refusal to allow inspections. The "inability to verify" formulation of paragraph 19 could also apply to some such situations but, in addition, could apply to circumstances that are less clear-cut or where the IAEA's investigations are inconclusive. Perhaps Article XII.C of the statute could have been drafted more clearly, but it is apparent that a noncompliance decision involves a two-step process. In the first instance, the inspectors report any noncompliance to the director-general, who is required to transmit the report to the board. A number of observations can be made here: The inspectors, not the director-general, decide if the facts warrant a noncompliance finding. The director-general is obliged to transmit the inspectors' report to the board. The report to the board should make clear whether the inspectors consider the facts to amount to noncompliance. Finally, serious safeguards breaches should also be reported to the board, even if the inspectors do not find noncompliance or remain undecided, so that the board is aware of the situation and has the opportunity to consider it. The board then shall call on the state to remedy any noncompliance "which it finds to have occurred," i.e., the board decides whether the facts constitute noncompliance. Once the IAEA inspectors have decided that a breach is sufficiently serious to report to the board, how does the board determine whether the breach is sufficiently serious to constitute noncompliance? The language of Article XII.C ("compliance with...all...conditions of the...agreement") seems to indicate that noncompliance is a failure to observe any condition in a safeguards agreement. Nevertheless, clearly not every safeguards breach constitutes noncompliance. Otherwise, the agendas of the board and the Security Council would be taken up with safeguards cases. There is a need to distinguish serious from less serious breaches. The IAEA Statute provides some guidance for distinguishing the severity of breaches, particularly if one reflects on the purpose behind its provisions for reporting to the Security Council. For example, from the indication in Article XII.A.1 that items under safeguards should not further any military purpose and from the close link between Article XII.C and Article III.B.4, which deals with "questions that are within the competence of the Security Council...as the organ bearing the main responsibility for the maintenance of international peace and security," one can infer that noncompliance involves safeguards breaches that have an actual or potential proliferation significance. Is there diversion of nuclear material to nuclear weapons, to purposes potentially related to production of nuclear weapons, or for unknown purposes (see below) that could include nuclear weapons? Where undeclared nuclear activities are discovered, do these involve fissile material or production of fissile material, i.e., enrichment or reprocessing? If so, could the quantities involved indicate an intention to produce nuclear weapons, or is there indication of an intention to scale up the undeclared activities to produce such quantities? What is the context of the safeguards breaches? Is there a systematic pattern of breaches? Are the nuclear materials and the activities involved of a nature that could be relevant to nuclear weapons? Might they be part of an overall program aimed at acquiring nuclear weapons? Is the IAEA being obstructed in carrying out its safeguards activities (inadequate cooperation with inspections, failure to produce records, interference with safeguards equipment, etc.) so that the IAEA is not able to exclude the existence of diversion or undeclared nuclear activities? What is the overall record of the state on performance of safeguards and nonproliferation commitments? Diversion has two elements: action and purpose. Regarding action, diversion typically means removal of nuclear material from safeguarded activities. More correctly, however, the term encompasses either removal of nuclear material from safeguards or failure to declare nuclear material for safeguards. The state's basic obligation is to accept safeguards and apply safeguards procedures on all nuclear material. Any significant departure from this obligation could indicate diversion. The other element of diversion is purpose. Diversion is either "to nuclear weapons or other nuclear explosive devices" or to "purposes unknown." The reference to "purposes unknown" is critically important, indicating that the standard of proof is set at a practical level, not one that is unrealistically high. This point is discussed below. Although the NPT and INFCIRC/153 express the obligation to accept safeguards in terms of nuclear material, INFCIRC/153 also obliges a state to declare nuclear facilities. In addition, INFCIRC/153 requires reports on the processing of nuclear material, which necessarily involves reporting of relevant activities. The Model Additional Protocol (INFCIRC/540) also requires reporting on and provision of complementary access to specified nuclear-related activities even if nuclear material is not present, on the basis that knowledge of such activities will assist the IAEA in drawing conclusions concerning nuclear material. The discovery of undeclared nuclear material or activities does not necessarily indicate an intention to produce nuclear weapons. Judgment must be based on implications and significance, such as an inadvertent failure to declare, and the possible consequences if the failure had remained undetected (e.g., how the material in question might be used). the nature of the nuclear activities involved, whether these are related to production of fissile material, i.e., enrichment or reprocessing, or to other processes that could be relevant to nuclear weapons. Whether governments have confidence that a state's nuclear program is exclusively peaceful is a judgment based not on certainty but on the balance of probabilities. A judgment on noncompliance cannot wait until the state has succeeded in acquiring nuclear weapons. If the standard of proof is set too high, the IAEA is bound to fail in its responsibility to provide the international community with timely warning. To prove the existence of a nuclear weapons program is unrealistic. A state having a nuclear weapon or nuclear weapons components or conducting weaponization experiments with nuclear material is unlikely to be caught red-handed. More likely, a state facing obvious exposure would deny inspectors access to the location concerned, preferring to argue whether lack of cooperation constitutes noncompliance, maintaining some ambiguity about its actions. Depending on the circumstances, the existence of undeclared nuclear material or activities should be enough to raise a presumption of diversion, especially if enrichment, reprocessing, or use of fissile material is involved. The NPT requires acceptance of safeguards on all nuclear material for verifying the fulfillment of obligations assumed under the treaty, namely, not to produce nuclear weapons. When the board determines that a state has intentionally not declared nuclear material, it must initially presume that the material was not intended for peaceful purposes. The smoking gun is the failure to declare nuclear material. If the inspectors find undeclared nuclear material or activities, an immediate challenge is establishing whether further undeclared nuclear material or activities exist. The IAEA Secretariat's ability to do this might depend on having a noncompliance finding from the board, including authorization to carry out additional verification activities. The amount of additional information gathered by the IAEA is crucial and will help the board judge whether a weapons purpose is plausible under the circumstances. Detection of apparent weaponization activities could be very important, and the IAEA needs to investigate such activities to the extent it is able. Discovery of weaponization activities, however, is not essential to support a finding of diversion or noncompliance. The drafters of INFCIRC/153 recognized the importance of avoiding an unrealistically high standard of proof. The use of qualitative language-"purposes unknown" and "not able to verify"-allows the application of judgment to deal with ambiguous or inconclusive situations. the purpose of the use of the nuclear material or the nuclear activity is not clearly exclusively peaceful, that it could be military or uncertain, i.e., "unknown." In these circumstances, the onus is then on the state to show that nonpeaceful purposes are not intended. It can attempt to do this through full cooperation with and transparency to the IAEA. As discussed above, a noncompliance situation may well be one of ambiguity rather than conclusive evidence. Once inspectors find that they are unable to verify there has been no diversion to nuclear weapons or that there has been diversion to purposes that are uncertain or unknown, the board and governments must consider the implications and what is necessary to rebuild confidence. Article XII.C provides that the board "shall call upon the...State to remedy forthwith any non-compliance which it finds to have occurred," and paragraph 18 of INFCIRC/153 provides that where the board "decides that an action by the State is essential and urgent in order to ensure verification that nuclear material...is not diverted to nuclear weapons...the Board shall be able to call upon the State to take the required action without delay." An essential issue for the IAEA to determine is the range of verification activities needed for effective investigation of the noncompliant state's nuclear activities. It is most unlikely that verification under the INFCIRC/153 agreement alone will suffice. At the least, the IAEA is likely to require access and information in accordance with the Model Additional Protocol. If the state does not have such a protocol in place, the board may need to require equivalent measures. Indeed, there are arguments as to whether the standard additional protocol is sufficient to deal with noncompliance. Some observers say the IAEA may need further measures, what has been termed "the Additional Protocol plus," possibly under authority from the Security Council. A key question is what the board requires before it can conclude that noncompliance has been fully remedied. It is not simply a matter of making good the specific safeguards violations that have been discovered. Discovery of acts of noncompliance raises the possibility that the state has additional undiscovered safeguards violations. A substantial ongoing program of verification, requiring continuing cooperation by the state, may be required before there can be confidence that there are no other instances of noncompliance and that noncompliance is not likely to recur. It could be some time before the board is able to reach a positive conclusion and before there can be confidence on the part of the international community. This article has not examined specific cases, but table 1 includes indicative cases to date. In addition, the IAEA is currently investigating apparent, serious safeguards breaches by Syria, including the construction of an undeclared reactor and the failure to declare nuclear material. At the time of writing, Syria has refused to cooperate with IAEA requests for access to investigate a number of suspect locations. Members of the board and other readers may benefit from analyzing the Syrian case using the factors discussed in this article. Reinforcing confidence in and commitment to the nonproliferation regime depends not only on proficient verification, but also, where necessary, on effective action to uphold treaty compliance. Well-functioning procedures for determining noncompliance are essential for this to occur. It is inappropriate to apply a rigid approach to determinations of noncompliance. The facts are likely to be complex, and a case-by-case approach is required. The terms of Article XII.C of the IAEA Statute and paragraph 19 of INFCIRC/153 provide the board with appropriate scope for the exercise of judgment. Yet, the board's discretion should not be unlimited. Consistency and predictability are essential if the board's decisions are to be credible and maintain confidence in the integrity of the IAEA's processes. It is essential that member states understand and accept the approach taken by the board. Clarification of the issues involved in noncompliance determinations is important for all parties: states, the IAEA Secretariat, and the board. The development of guidelines to assist the board and, indeed, the secretariat could be very helpful in this regard. In recent years, the International Atomic Energy Agency Board of Governors has found five states to be in noncompliance with their agency safeguards agreements. In another two recent decisions on serious safeguards breaches, involving South Korea (2004) and Egypt (2005), the board did not find the states in noncompliance. The board weighed several factors in making its determination. *Egypt irradiated and dissolved very small quantities of uranium and thorium but did not separate any plutonium or uranium-233. John Carlson is director-general of the Australian Safeguards and Non-Proliferation Office. This article reflects the views of the author and not necessarily those of the Australian government. 1. See www.iaea.org/About/statute.html (hereinafter IAEA Statute). 2. The author does not share the rigid approach recently espoused by Pierre Goldschmidt. See Pierre Goldschmidt, "Exposing Nuclear Non-Compliance," Survival, Vol. 51, No. 1 (February-March 2009). Goldschmidt rightly is concerned with possible politicization of IAEA Board decisions, but it is clear from the IAEA Statute that the board is required to exercise its judgment. Judgment does not necessarily entail politicization. Having well-understood guidelines can help avoid this. 3. See Australian Safeguards and Non-Proliferation Office, "Annual Report 2003-2004," September 20, 2004, pp. 80-84, www.asno.dfat.gov.au/annual_report_0304/ASNO_2004_AR.pdf. The report was circulated to the board. 4. Although it was clear in 2003 that Iran was in noncompliance, concern about the consequences of a noncompliance finding (e.g., whether Iran would cease cooperation with the IAEA or even withdraw from the NPT and whether the Security Council could agree on a response in any event) led to the noncompliance finding being delayed for three years while efforts were made to negotiate a solution with Iran. 5. Noncompliance is also to be reported to the UN General Assembly and all IAEA member states. In the Iranian case, one complication was how quickly a noncompliance finding would have to be reported. The statute does not specify a time limit, allowing the board to delay formally reporting a finding if it chooses. 6. The obligation is to accept safeguards on all nuclear material in peaceful nuclear activities. To date, the case of nonpeaceful, nonproscribed nuclear activities, such as naval propulsion, has not arisen in practice. 7. "Treaty on the Non-Proliferation of Nuclear Weapons," INFCIRC/140, April 22, 1970, art. II, www.iaea.org/Publications/Documents/Infcircs/Others/infcirc140.pdf. 9. Formerly known as a full-scope safeguards agreement. 10. IAEA Statute, art. XII.A. 11. "The Structure and Content of Agreements Between the Agency and States Required in Connection With the Treaty on the Non-Proliferation of Nuclear Weapons," INFCIRC/153, June 1972, para. 1, www.iaea.org/Publications/Documents/Infcircs/Others/infcirc153.pdf (hereinafter INFCIRC/153). 13. In this context, "fissile material" refers to highly enriched uranium and separated plutonium, which the IAEA terms unirradiated direct-use material. 14. INFCIRC/153, paras. 1, 2 et seq. 16. There is also an obligation to declare locations outside facilities where nuclear material is customarily used. 17. See John Carlson, Russell Leslie, and Annette Berriman, "Nuclear Weaponisation Activities: What Is the Role of IAEA Safeguards?" n.d., www.asno.dfat.gov.au/publications/weaponisation_inmm072006.pdf. 20. See Pierre Goldschmidt, IAEA Safeguards: Dealing Preventively With Non-Compliance, July 2008, www.carnegieendowment.org/files/Goldschmidt_Dealing_Preventively_7-12-08.pdf. Several recent U.S. government reports identified significant difficulties in tracking U.S. small arms and light weapons meant for Afghan national forces and an improvement in monitoring such weapons meant for Iraq. According to a January study by the Government Accountability Office (GAO), the United States did not maintain complete records for 87,000 of 242,000 U.S.-procured weapons for the Afghan National Security Forces (ANSF). The study also found records to be unreliable for 135,000 weapons obtained from 21 other countries for the ANSF. The report noted that positive corrective actions have been taken recently but that "inadequate U.S. and ANSF staffing at the central depots along with poor security and persistent management challenges have contributed to the vulnerability of stored weapons to theft or misuse." A December 2008 report by the Defense Department's inspector general found that significant improvements had been made in Iraq but identified continuing problems, including inadequate accounting for nearly 60,000 weapons seized from insurgents and stored at depots in the country. Rep. John Tierney (D-Mass. ), chairman of the House Oversight and Government Reform national security and foreign affairs subcommittee, noted during a subcommittee hearing Feb. 12 that "what GAO uncovered is disturbing." In highlighting congressional action in regard to weapons meant for Iraqi forces, he said, "[o]ur hope was that lessons learned in that conflict would inform policies in other conflicts." As the Obama administration calls for a reduction of forces in Iraq and an increase in Afghanistan, operations in that country are bound to draw greater scrutiny. In promising "sustained and constructive oversight," Tierney raised the possibility of U.S. forces dying "at the hands of an insurgent using a weapon purchased by U.S. taxpayers" and said that "this is just too important not to get right."